Stay in Rhodes's best hotels! 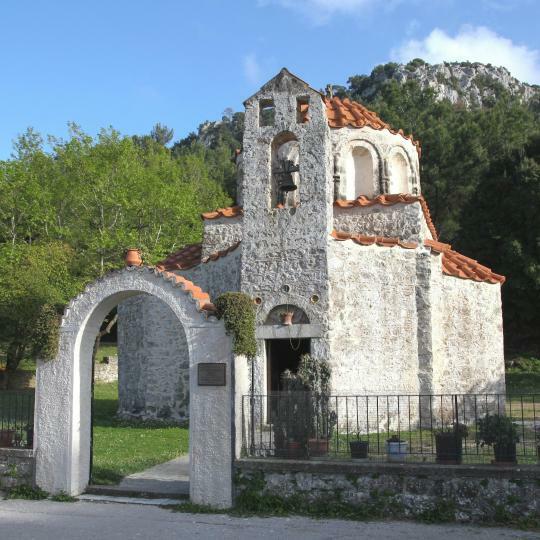 Located in the Rhodes Medieval city district in Rhodes Town, 2133 feet from Clock Tower. Free WiFi is available throughout. It defines the word: Boutique! Beautifully designed with a lot of thought in the details. Very modern. Very clean. Very inviting and comfortable. Well located in the Medieval City of Rhodes district of Rhodes, Trinity Boutique Hotel is located a 17-minute walk from Clock Tower, 1.1 miles from Mandraki Port and 1.5 miles from Grand Master's... Amazing decor, vibe, location and staff. Served custom breakfast each morning and provided great local recommendations for food and fun. We will always remember Toula and Georgie. Awesome people. Like family! Island Boutique Hotel is located just across Elli Beach in Rhodes Town, 2297 feet from Mandraki Port. Fine Mediterranean and international cuisine can be enjoyed at the on-site restaurant. Great location, very clean rooms, nice staff, great breakfast, quiet, safe, would have liked a view, but it wasn't available. Featuring free WiFi, Elakati Luxury Boutique Hotel offers accommodations in Rhodes Town, 1640 feet from Mandraki Port. Guests can enjoy a drink at the snack bar. Christina was the best...she even organised a surprise cake for us on our check in as we were on honeymoon. Highly recommend this place. Set in Kolymbia in the Rhodes Region, 1.1 mi from Tsambika Beach, Casa Cook Rhodes features a large outdoor pool, an a la carte restaurant and a fully equipped fitness room. The decor, the food, the service, the nature that surrounds the hotel. Centrally located in Rhodes Town, Hotel Anastasia is a family-run property set in a 1930’s building. It offers air-conditioned rooms with free WiFi. Elli Beach is at a distance of 2133 feet. Superb! Excellent hotel very close to the citadel and good restaurants but in a quiet area. The hotel was lovely, immaculately clean and our room was excellent. Our hosts very friendly and helpful. The Greek breakfast was amazing and especially to sit al fresco. Would highly recommend. Housed in a renovated 19-century building, Evdokia Hotel is centrally located in the old town of Rhodes, within 328 feet from the port. It was my second time in Evdokia and i love it. Offering an outdoor pool, Valentino Hotel is located in Kremasti, a 5-minute walk from the beach. It consists of modernly decorated rooms with free WiFi. Facilities include a bar and garden. Staff really nice, easy check in. Breakfast was good and plenty. Pool is nice. 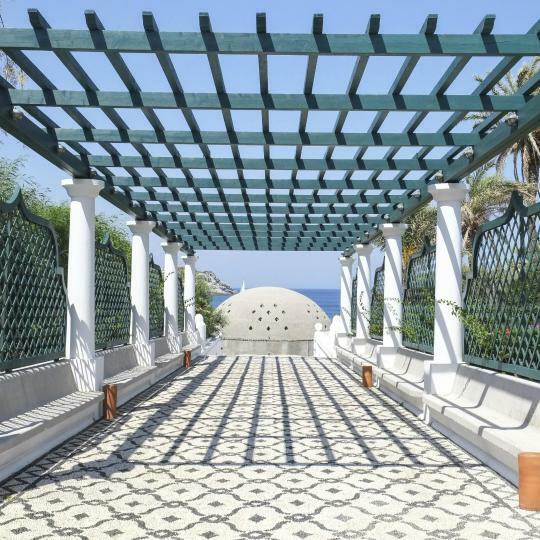 Centrally located in Rhodes, just 328 feet from the scenic Old Town, Spot Hotel features a furnished roof garden with views over the town. It offers air-conditioned rooms with free WiFi. Budget hotel visited in March, very helpful staff, clean nicely-decorated room. Medieval theme! Quietly located among lush greenery, 1804 feet from the center of Archangelos, Anthula Sun features a bar. Warm welcoming host that is always willing to help. Excellent value for money. Just 492 feet from Zefyros Beach, the family-run Star Hotel lies within a 20-minute walk from the scenic Old Town of Rhodes. It offers air-conditioned rooms with free Wi-Fi and a balcony. To start off, the hotel is located in a pretty good location. 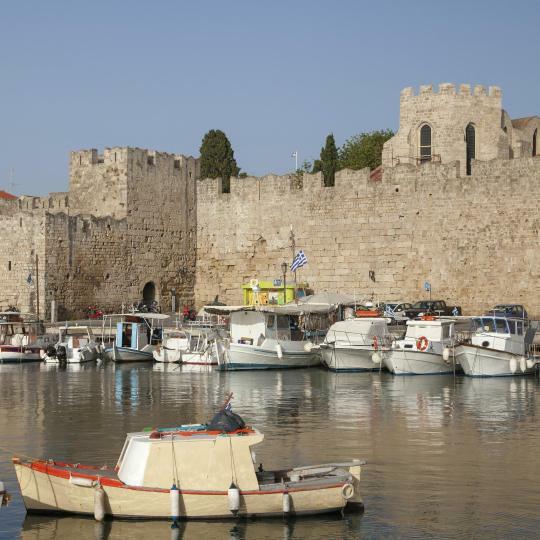 Lydia Hotel enjoys a prime location in the center of Rhodes Town. It offers a modern lounge bar-restaurant and features elegant accommodations with work desk and mini-bar. Very nice and kind staff. Location of the hotel is nice. Enjoying a privileged location, Hotel Mediterranean is located on the sandy beach near the Aquarium and the Casino, a short distance from Rhodes Town and the Castle of the Knights. The hotel was in an excellent location, right on the beach and very close to the old town. Right in the center of Rhodes, Old Town Piazza is an 18-minute walk from Clock Tower. Very kind staff. Very good location. Near to synagogue that I recommend to visit. This small family-run hotel, located in a quiet area of Genadi, provides guests with a comfortable base during their stay on Rhodes. Featuring an outdoor swimming pool and restaurant, Congo Hotel is located in Rhodes, 0.9 mi from the center of Rhodes Town, with restaurants and cafeterias. A garden and sun terrace are included. Great staff, the owner is an absolute delight and so helpful. Featuring a seasonal outdoor swimming pool and a restaurant, Maritime is located in Kremasti. This 2-star hotel has air-conditioned rooms with a private bathroom. The restaurant is amazing - the Greek homemade food is the best ever! 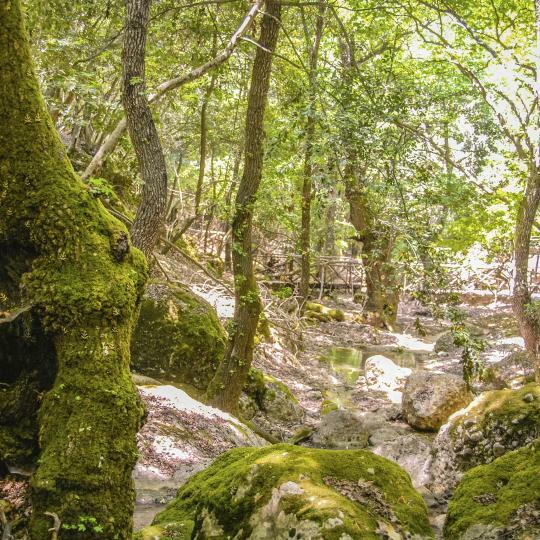 Set amid the lush forest of Profitis Ilias, Elafos is an alpine-style hotel offering elegant accommodations overlooking the mountains and the Aegean Sea. Breakfast was ok. Beautiful lobby and dinning room. Beautiful setting. Great view from the room. 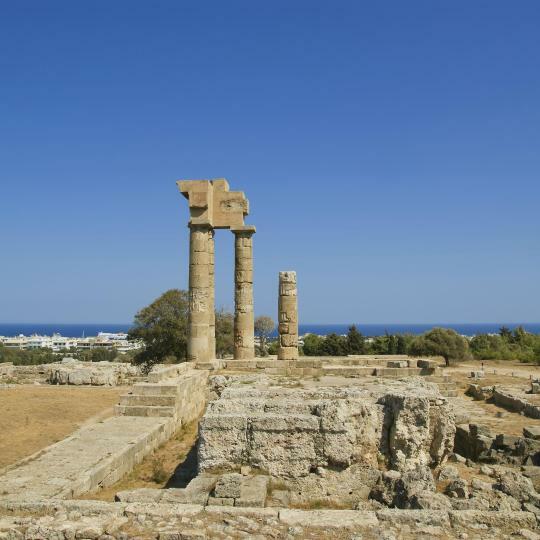 Located in the Rhodes Medieval city district in Rhodes Town, 2133 feet from Clock Tower. Free WiFi is available throughout. It defines the word: Boutique! Beautifully designed with a lot of thought in the details. 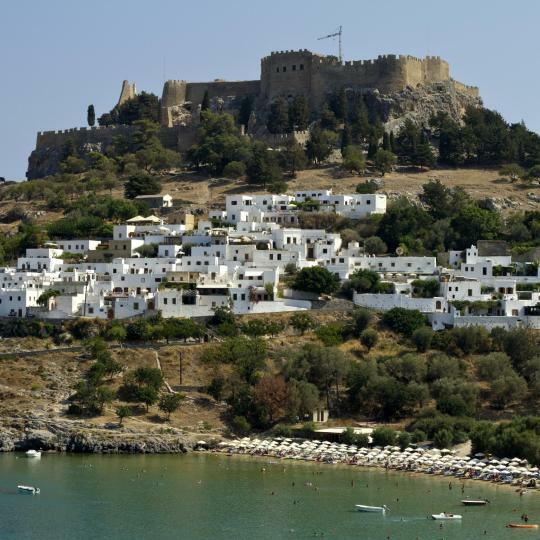 Climb to the acropolis of Lindos to survey ancient structures, or soak up some sun on the sandy beach below. 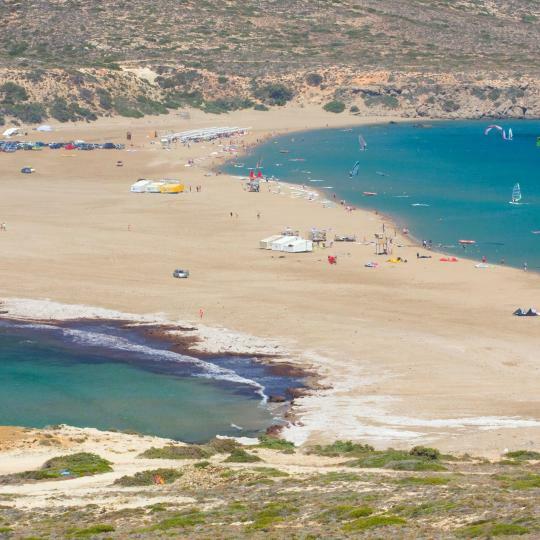 Clear turquoise waters lap at both sides of this sandy peninsula, creating two fantastic beaches and epic windsurfing conditions. Wander along this valley’s winding path in summer to witness flurries of colourful tiger moths flutter among the lush vegetation. 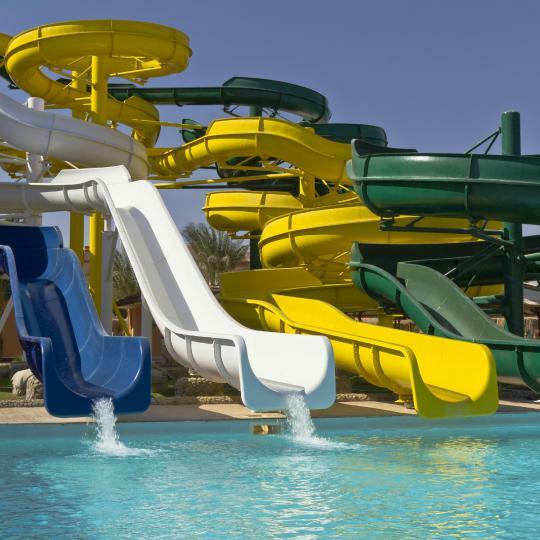 Rocket down towering water slides, ride the swells in the wave pool or just float around at Greece’s largest waterpark. 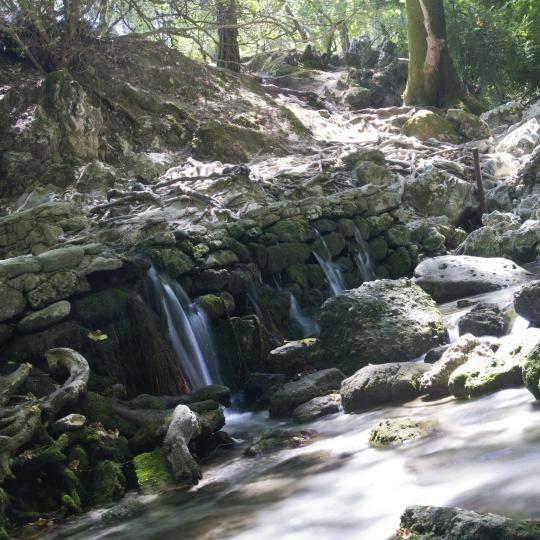 Follow the gentle flow of the Seven Springs as you trek through majestic woodlands en route to a crystal-clear lake. After a scenic hike up this mountain, relax with some tea at one of two historic hotels near the summit. 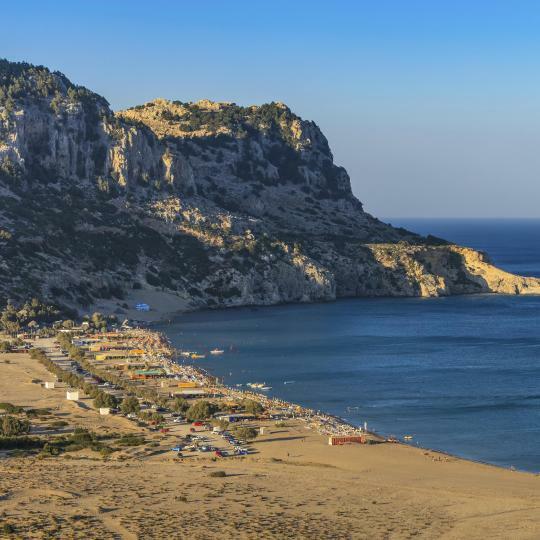 Dig your toes into this beach’s golden sands, or hike to the Monasteryof the Virgin of Tsambika for spectacular views. The staff of the hotel is truly outstanding, being extremely knowledgeable and helpful in every way. Thanks to them my wife and I had a very pleasant time in Rhodes. The cleanliness of the place is remarkable: towels and linen were changed practically every day. We also enjoyed the breakfast, especially its typically greek componenets, such as olives, feta cheese and yogurt with honey. Also very convenient is the system of the safe deposit boxes, situated near the reception but allowing a steady access. Marianne was extremely helpful on where to eat, what to do, and Rhodes info in general. Very pleasant hotel with lots of history. The building is over 2000 years old. Great breakfast with huge portions included. I recommend taking at taxi from the airport (we booked it through the hotel) as it is not easy, even for the taxi, to get through the narrow city wall gates. Once you are at the hotel, every place in Old Town Rhodes is walkable. The apartment is located just under 30 meters from beautiful and peaceful beach. The host is very caring and even got for us some food and treats for our arrival. It was our tenth visit to Rhodes and the best one (even compared to 5 stars hotel). Full kitchen appliances, washing and dish washing machine. Nice sea view.... Also there is a good supermarket close by. Very good place for comfortable get away vacation. The location of this hotel within the Old Town made it so much better than being outside the walls (where I have been on my numerous times before). Plus it was just around the corner from Laganis, my favorite restaurant in Rhodes. The morning breakfast was great as the owner, other guests and us all talked together. When we needed a car the owner arranged for it and suggested where we should go. The hosts were charming, solicitous, and very knowledgeable about where to go in Rhodes town. The rooms were super-clean, very well equipped, with comfy beds and a thoughtful starter package for the first morning (the rooms have kitchenettes -- no hotel breakfast). Loved the location -- between the beaches and nightlife in the new town, and the old town and citadel 10-15 walk away. It may have been "off-season," but it may have been the best time to visit Rhodes, and this hotel was a benefit to that experience. One of the best prices in the downtown/beach area, especially considering it includes a complimentary (and tasty) breakfast. The staff were extremely helpful, especially since we only had English between us. Can't beat the value. Agla Hotel is situated a short walk from the beach, southern end of Rhodes New Town but less than a mile from all the historical delights of Rhodes Old Town (don't miss!). Has a very relaxed atmosphere with its own pool / sun bed area, a neat bar and a handy mini-market. Rooms are very comfortable with aircon and wifi. Staff are very friendly. Breakfast is excellent. we stayed for 5 days at Lefka hotel. Although it was our first time in Greece We really felt home thanks to the hotels owners hospitality. The hotel rooms are clean and spacious. And the hotel owners are always at your disposal for any question with a big smile on their face. I highly recommend people visiting Rhodes to stay there. You wouldn't be disappointed. This hotel is absolutely wonderful, I wish there were a higher rating! The staff is so sweet and helpful. The rooms and bathrooms are beautiful, modern, and very clean. Breakfast was huge and delicious. It's a block from the beach, and only a 10 minute walk from the nearest old city gate. I would definitely go to Rhodes again just to stay here. The management and staff were excellent and the facilities very good. We arrived earlier than anticipated and we were greeted warmly and offered a late breakfast and coffee. It was a very cool hotel the best I’ve stayed at in the old town of Rhodes. Our hosts were friendly and beyond helpful and made made us feel very welcome. The hotel itself was beautiful and our room was very comfortable. It was also in a great location. I couldn't imagine a better place to stay in Rhodes! I was my 3rd time in this hotel. Best location on this island for a windsurfer. Kind staff, no problems-what else? Haven't been to other places in Greece, but people of Rhodes-hat's off! This is a comfortable, modern hotel in the new town of Rhodes. The room was a good size, with a good shower. The breakfast buffet was small but tasty. The staff were very pleasant and helpful. The hotel is well located in Rhodes Old town. Close to the port and many stores/restaurants. The staff is very friendly and helpful. Recommended. Excellent price. A+++++. Well located on the edge of Rhodes Old Town close to restaurants and the main sites. Attractive apartment with a lot of character and good facilities. Very quaint hotel in Old Town Rhodes. Lovely lady manages it and is very informative of things to do in the area. Great host, great apartment, very centrally located in Rhodes town!